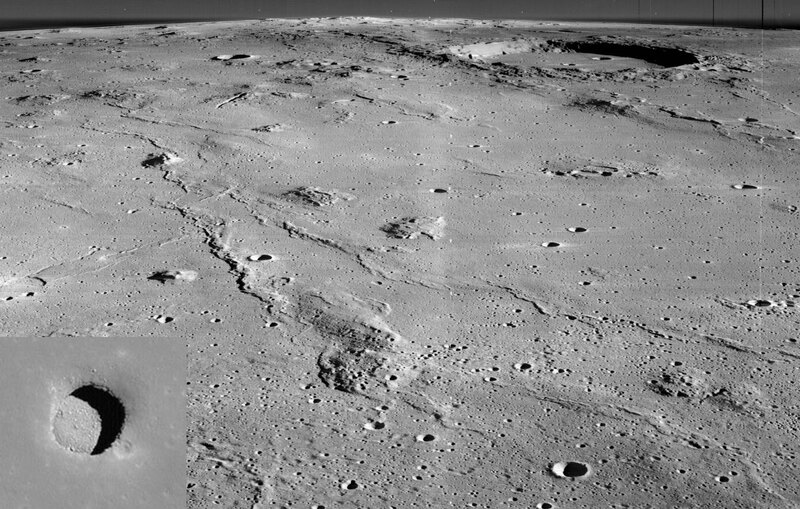 Above: Marius Hills and a Hole in the Moon. Image Credit: NASA, Lunar Orbiter 2; Inset: Lunar Reconnaissance Orbiter. 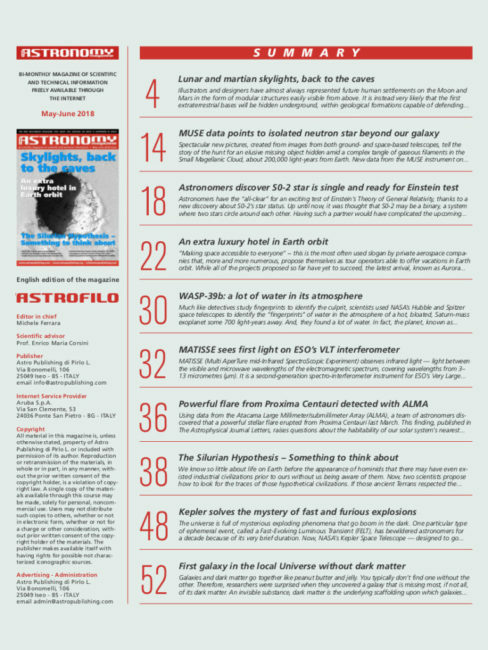 I am very pleased to mark my new editing contributions to the English-language version of Free Astronomy Magazine, starting with the current May-June 2018 issue. This new role was made possible by Michele Ferrara, Editor-in-Chief of the free and multi-language astronomy magazine that I have been very happily promoting on the CNYO site for several years now – and that I now get to promote here and on the CNYO site with my NASA Solar System Ambassador hat on. A combination of space agency publications (all the heavy hitters – NASA, ESA, ESO, ALMA, and Keck, among others) and original content, FAM has been a wonderful resource for those wanting to take a step beyond observation and into hard science and the many missions that make cutting-edge astronomy and astrophysics possible. It’s not only convenient to have a number of significant articles combined into a single magazine, but the inclusion of informative images and a great layout makes the download and read a no-brainer. The process started in early April of figuring out what it meant to be providing a bit of translating and editing skills for both the text and the scientific content – that it, it not only has to be correct, you have to make sure it’s right as well (let that sink in!). And the timing could not have been better (although that wasn’t known until later in April). Finally, it’s a wonderful thing to be able to combine science outreach (which I very much enjoy) with an established brand that is doing more than its share to make astronomy and space science accessible to a considerable part of the global population (we’re talking bimonthly magazines translated into English, Spanish, French, Italian, and Portuguese, with requests for additional translations into other languages scrolling on the main page). The Table Of Contents for the May-June 2018 issue is reproduced below. Follow links below to the on-screen PDF and downloadable versions. 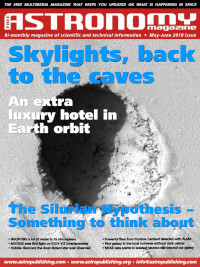 If you enjoy it, please forward along the links and astropublishing.com site. quantum chemist computer geek nanotechnologist graphic artist amateur astronomer jazz/rock drummer – and this blog mostly exists so I don’t have to remember stuff. For my contact info, research links, and familial connections online, go to my About Page.